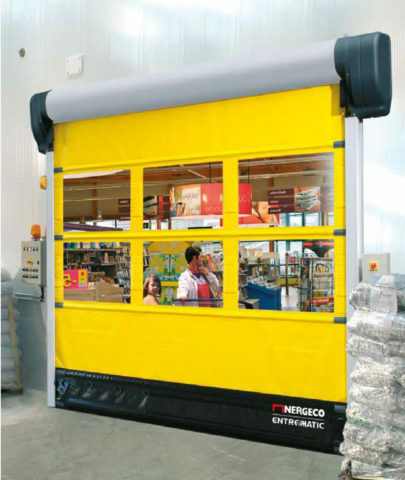 High performance door for controlled chilled areas – with double layer curtain for better insulation. 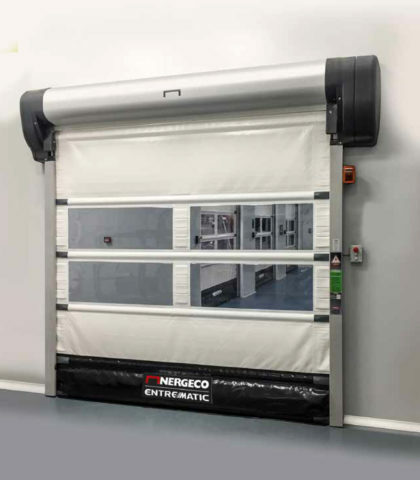 The Nergeco C Chill 5 is a high performance and energy saving door, which can be used to protect a chilled or refrigerated area from an ambient ambient – for example to separate a 5ºC chilled area of a warehouse from an ambient area. 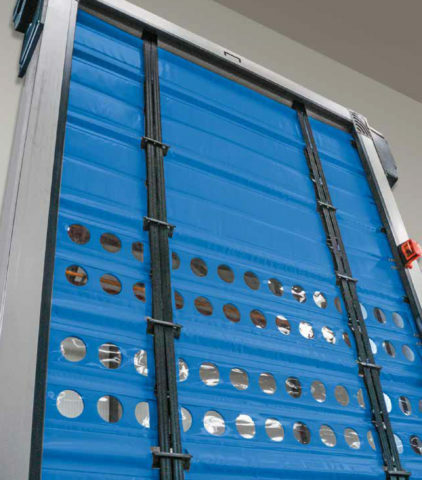 The Chill 5 is made from a thermal stable multi-composite material with a natural thermal barrier and the Trekking Fold-Up technology assures better operation and a longer life time of the door. 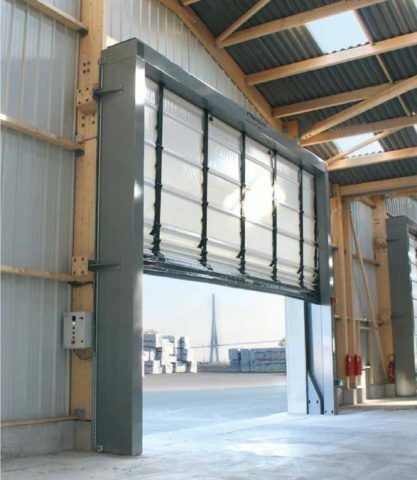 Combined with the direct drive motor for long lasting performance and the doors impact absorption – this helps reduce the risk of faults and avoid permanent distortion and high repair costs.